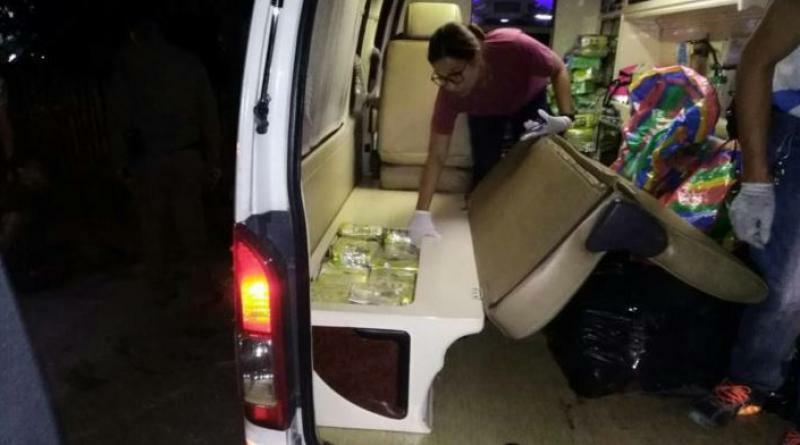 POLICE in northern Phayao province seized as much as 300 kilograms of crystal methamphetamine (Ice) and 100 kilograms of Ecstasy from 2 vehicles that looked like ambulances last night, the Thai-language daily Matichon reported this morning (Sept. 10, 2018). 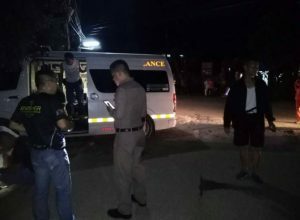 Pol Col Somphop Supaporn, head of Dok Khamtai station, sent his men out to block various routes at 8.35 p.m. last night after being alerted by the Narcotics Control Office Region 5 officers that these 2 seemingly ambulances and laden with narcotic drugs had broken through a checkpoint. 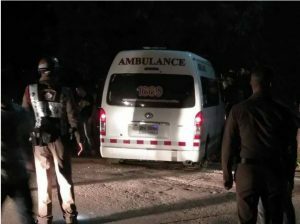 One of the teams spotted the 2 ambulances and moved to stop and search them, but were shot with a .9 mm pistol. The policemen fired back and burst the front right tire, but the hit ambulance wobbled along until all 4 tires were flattened. The police team then searched the 2 vehicles and found the large amount of drugs and arrested 3 drug suspects. They masked the vehicles with tape and took them and the suspects to Narcotics Control Office Region 5 for further legal action.